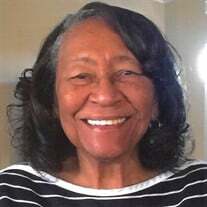 Ms. Bonnie Lewis 78, of 9120 Willow Road, Charlotte, North Carolina passed away on February 24, 2018 at the Regency Nursing Facility in Charlotte. The family of Ms. Bonnie Lewis created this Life Tributes page to make it easy to share your memories. © 2019 Colvin Funeral Homes and Crematory. All Rights Reserved.